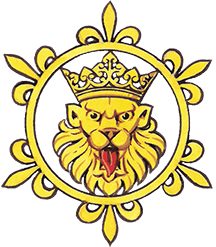 Since 1978 the Suffolk Heraldry Society (SFS) has been surveying the heraldry to be found in the churches of the county, and since 2011 it has been visiting its towns and villages to catalogue armorial devices to be seen in public places. These surveys have been collected as searchable digital documents, with interactive indexes and maps. 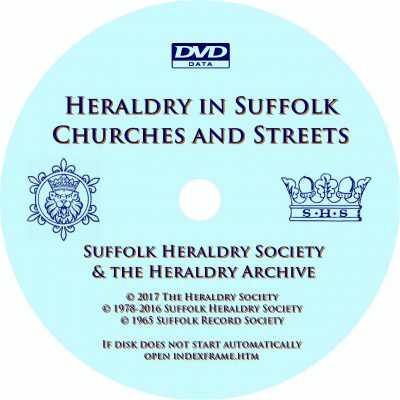 The disc also includes introductory pages and illustrations from Guide to Heraldry in Suffolk Churches (SFS 1990), and Dictionary of Suffolk Arms (Joan Corder 1965, by permission of Suffolk Records Society).